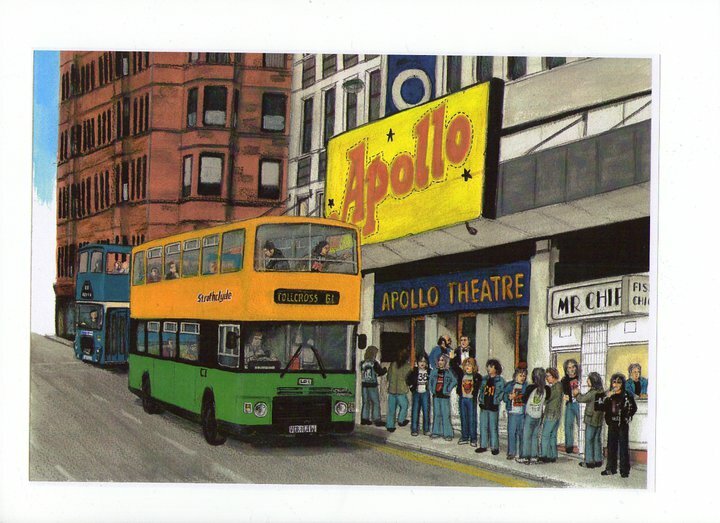 Renowned by some as a ‘rock’ venue during its period of operation, we often forget that a wide range of artists and music genres were represented at the Apollo. 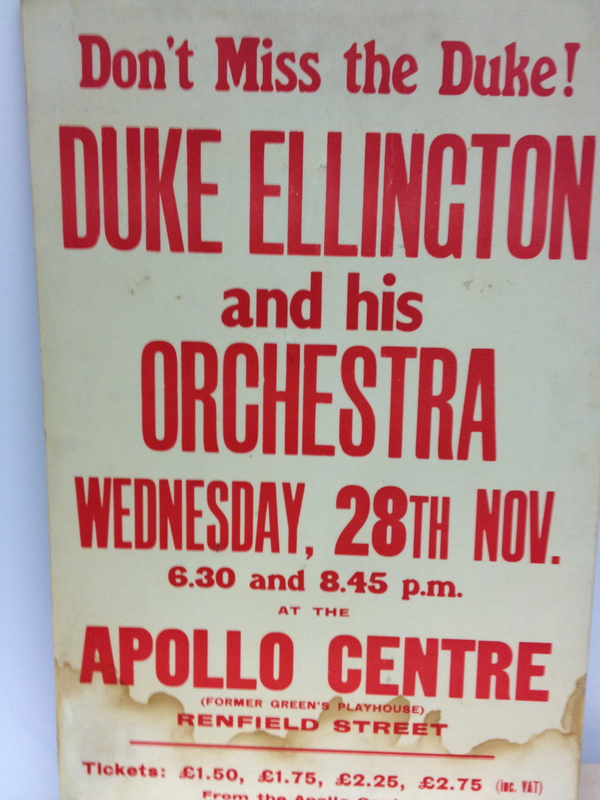 As an example, the picture below shows a poster for the Duke Ellington concert venue in 1973, the original of which was kindly provided by my friend and colleague Jim Prime (Deacon Blue). Other ‘non-rock’ who appeared at the Apollo includes Miles Davis, Sister Sledge, The Four Tops, Max Bygraves, Earth, Wind and Fire, Chic and Boney M.